RBSE 12th results 2019: The results of 12th Science, Commerce examination will be declared on the third week of May, between May 20 to 24, 2019. RBSE 12th results 2019: Rajasthan Board of Secondary Education, RBSE will announce the results of Intermediate (Science, Commerce) examination on the third week of May. “The results of class 12 Science, Commerce examination will be announced between May 20 to 24, 2019. 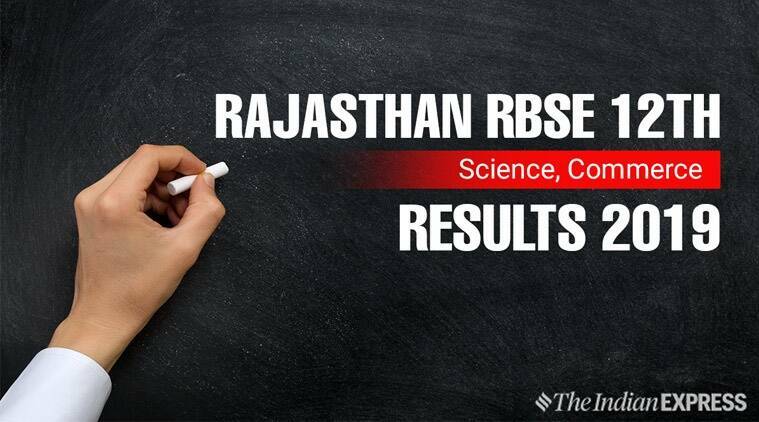 The students can check the results through the websites- rajeduboard.rajasthan.gov.in, rajresults.nic.in,” said RBSE secretary Meghna Chowdhury. “The evaluation process is going on, and the board will be in a position to announce the result dates after the completion of the evaluation process,” mentioned RBSE secretary. The class 12 Humanities results will be declared in the last week of May, and Class 10 results in the first week of June, added RBSE secretary. The RBSE 12th Science, Commerce results will be available on the official websites rajeduboard.rajasthan.gov.in, rajresults.nic.in. To check their marks, candidates have to visit the official websites and enter their roll number to view their scores. The candidates can also avail their marks through SMS. The board took slew measures to prevent the issues of cheating, with providing CCTV surveillance in all the sensitive centres. This year, around 20 lakh students appeared in the board examinations that was started in March. As many as nine lakh students appeared in Class 12, and 11 lakh in Class 10. The board examination was conducted in March, from March 7 to 14, 2019. Over 5 lakh candidates appeared for the High School exams in 2018. While 48,000 students appeared for the Commerce examination and 2.25 lakh students appeared for the science paper. The result was declared on May 24, and 87.78 per cent students cleared the examination successfully.